As a data recovery company recovering data from consumer and business hard drives for over 15 years, Hard Drive Recovery Associates technicians have virtually seen it all when it comes to data loss situations. We have seen a wide variety of hard drive failure causes – from major fires to damaging floods, from dropped laptops too simple hard drive malfunctions – each with its own conditions, and its own solutions. We take pride in the fact that our data recovery rate is around 98%, which means if you contact us with a hard drive failure problem, we guarantee you that we can recover your data – or there is no charge. We feel confident that we can make this guarantee because 20% of our business comes from people referred to us by other companies in our industry. 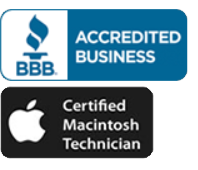 You can say that we are the “data recovery service company” choice as well. We recognize that not every hard drive failure situation means that you will have to send your hard drive to us for repairs. As a result, we also provide data recovery software which enables you to recover files from simple file system errors or logical drive crashes. It as always been our mandate to provide our clients with the safest, most economical data recovery solution we can offer. In fact, a good portion of our clients end up solving their own data recovery issues with the help of our free technical support. We maybe able to help you, too. Because we understand that data loss does not operate on a 9 to 5 schedule, our data recovery engineers are available via telephone 24 hours per day. We would encourage you to call us even if you are not certain that you have a physical hard drive problem. A support call with Hard Drive Recovery Associates is always free and can provide you with a good action plan for retrieving your valuable data. Located in Irvine, California, our fully appointed data recovery clean room is among the industry’s safest, with one of the highest levels of protection of any in the United States. Clean rooms are extremely precise laboratory like environments with absolute humidity and temperature control to ensure that hard drive opened under these conditions are never damaged by the microscopic contaminants in regular, unfiltered air. This is a necessary implement professional hard drive recovery company because of the fragile nature of hard drive in general. Insist that your data recovery company has one with the highest possible standards. We pay for your interest in our company and look forward to serving you as best we can.